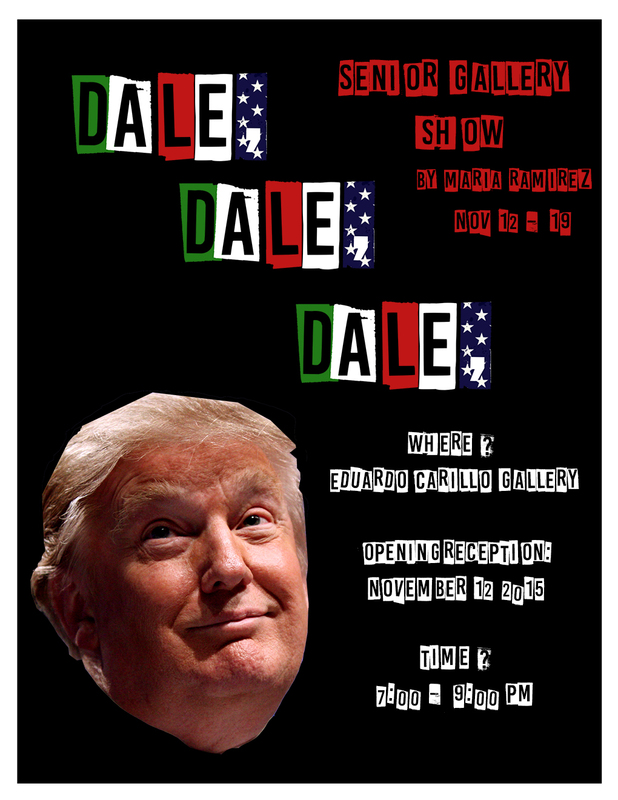 SENIOR SHOW: Maria Isabel Ramirez - Dale, Dale, Dale! You are cordially invited to Dale, Dale, Dale! Hola! Hola! From the strange place of Santa Cruz, California! I would like to invite YOU to my first solo show! It will be a night full of Aliens, Cowboys, and Forgotten Souls. Come celebrate with Artistic Piñatas! With an opening reception at 7PM on November 12th!